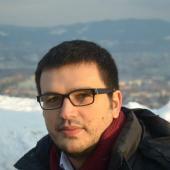 I'm a Ph.D. student at TU Wien under the programme of Vienna PhD School of Informatics, supervised by Axel Polleres. I hold a MSc degree in Computer Engineering obtained at University of Sapienza, Rome, Italy. My master thesis titled "Coupling Semantic MediaWiki with MASTRO" was supervised by Maurizio Lenzerini. Moreover, I hold a BSc degree in Computer Science obtained at University of Prishtina, Kosovo. My PhD is supported by Vienna PhD School of Informatics . My two years Master studies have been supported by Erasmus Mundus External Cooperation Window Project Basileus. In Proceedings of the 13th European Semantic Web Conference (ESWC2016), Heraklion, Greece, June 2016. To appear. In 28th International Workshop on Description Logics (DL2015), Athens, Greece, June 2015. In Proceedings of the 13th International Semantic Web Conference (ISWC 2014), Lecture Notes in Computer Science (LNCS). Springer, October 2014. 10th Reasoning Web Summer School RW2014 & Doctoral Consortium, The 8th International Conference On Web Reasoning And Rule Systems, Athens, Greece, September 2014. In 27th International Workshop on Description Logics (DL2014), Vienna, Austria, July 2014. In 2nd International Workshop on Ordering and Reasoning (OrdRing 2013), CEUR Workshop Proceedings, Sydney, Australia, October 2013. CEUR-WS.org.